Immaculate 3 bedroom semi detached modern family house in this quiet residential estate behind Robertson Park in Renfrew within easy walk of the shops, restaurants and cafes in Renfrew town centre. The property has small entrance vestibule, downstairs WC, spacious living room and dining area with French doors to the garden. Attractive kitchen with appliances provided offering further access to the rear garden. The garden is lawned and has decked area for sitting out- it is fully enclosed. Upstairs has 3 bedrooms - the larger 2 have mirrored wardrobes built in. Family bathroom with shower over the bath. GCH. Double glazing. Private driveway to the front. A great property for a family offering an immaculate family home. 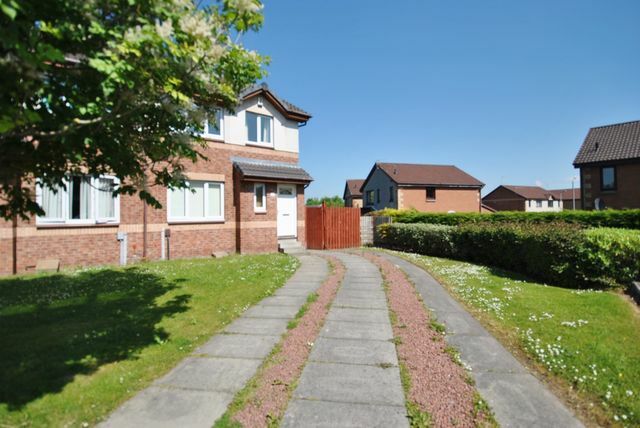 Great links to Braehead Shopping Centre , the airport and all motorways.